GUATEMALA, INDIA and MEXICO, THREE SOURCES OF GREAT UPHOLSTERY WEIGHT COTTON TEXTILES! I remember going to Madonna's designer, Richard TYLER, to his gorgeous Shop on MEROSE or BEVERLY Blvd.in chi chi West Hollywood and showing him Guatemalan hand woven Cotton. Offering it up for sale. TYLER went crazy, enthusiastically said he'd buy all he could get for making Blazers for his movie star clients.I went to Tyler on account of my friendship with an American hipppie kind of guy who loved that squalid, mortal country, went anually just to smoke their local cigarettes and drink their beer and go up to the mountain villages full of looms.I gave up that hippie pal after a fatal dinner in some chic Hollywood cafe. We came out to the street and walking back to the car, he suddenly took it into his drunken head to ask me and my friend Dianne if he could relieve himself. He turned and DID. On a lampost. I quickly gave up my fascination with HIS ROAMING and SHOPPING TALENTS but I never gave up my admiration for the textiles of Guatemala. THEIR fabric is gorgeous to DIE. Incandescent, psychdelic hippie STRIPES kind of like that Italian designer MISSONI does in knits, but this is on strong, handloomed cotton. around. Google the word 'QUICHE' and 'genocide' if you want. Here is a blog by Americans who went not to QUICHE but to the mountains where weavers live. . MOUNTAIN WEAVER TRIP. Anyway, those textiles are heavenly and make up for all that. Let this inspire you to journey there. In a group, with Traveler's checks and American EMBASSY checks --on your welfare that is. Or go to PRISCILLA BIANCHI and order up a stack from right there where you sit now, today. 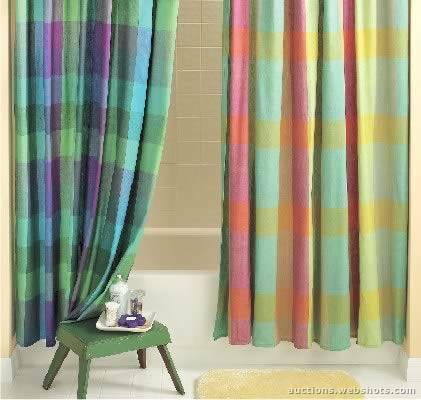 HAND WOVEN COTTONS are the basic staple of good home decorating. Your pillows, sofa, chairs, tablecloths, curtains need to be of sturdy cotton that you can throw in the washing machine. America does not produce handwoven cotton fabrics. You can make a very good business bringing in BOLTS of good cotton and wholesaling it by the bolt to designers, the Decorator's District shops, etc. Then look at what they do with cotton in KARACHI, PAKISTAN. CANVAS BAGS, purses, totes, duffles. They let you design them, call the shots. So design a line of SOFT LUGGAGE! STUFFABLES or SQUNCHIES. SEE all these CANVAS SUPPLIERS at ALI BABA. Make Duffles, totes in gumdrop colors the vogue, the fad. Make it cool. Do it in rust/fall/autumn colors too, but never the ugly colors, black, brown, burgundy, gray. The selling point besides these delectable COLORS is that when you want to clean your duffle, you throw it in the washer set on COLD! And you never lose the colors! There is a business you can do with these two sources. If you design and know the marketplace. nizamcanvas.com was the biggest canvas cotton supplier anywhere in KARACHI, PAKISTAN but they an't write in ENGLISH on their sites. So you have to go there. They can't even open an email. Nizam which is that corporation, also has lovely Refugee tents. I'd love one of those for camping out. They are gorgeous and would be a great ITEM of MERCHANDISE to wholesale to sports shops around USA Maybe that's why they don't have time for the old duffles. SO MANY REFUGEES there. Here in USA you can sell tents to every city with homeless, Just reading today how OAHU has a real problem and city OKAYED using shipping containers. Wholesale to homeless communities. Cities would buy them for the community. Tent cities. And for farmers with itinerant seasonal workers. The TEXTILE INDUSTRY OF MEXICO ALSO has a fabulous, long history of making very strong cotton fabrics, useful for UPHOLSTERING FURNITURE, Tablecloths, draperies, napkins, pillow covers. CHARMING fabrics with a slubby texture. I particularly like the way they do PLAIDS which they do in GUM DROP COLORS. You get to order them in your fave combo of colors. WRITE "TELAS TIPICAS company" below and order a sample bolt or two of CAMBAYA (dress or frock cotton ) OR MANTA (UPHOLSTERY weight COTTON). This particular plant manager (BELOW) speaks English, so in your letter, ask for his EMAIL, his factory's BANK so that you can send a MONEY ORDER or bank to bank payment. Ask for the NAME he'd want the CHECK TO BE WRITTEN IN, if a MONEY ORDER. Tell him you want to set up an account to order bolts of fabric MONTHLY. So maybe get his bank account number. Stipulate that the fabric on A FEW OF THE bolts should be an UPHOLSTERY WEIGHT COTTON, like MANTA, a HANDWOVEN LOOK, just short of burlappy! You want these in a plaid, which is RAYOS CRUZADOS. (LIke GINGHAM but having more colors and wider stripes.) Ask for wide 'rayos' or stripes, 1" inch max to 3/4 " in places, and here and there a thin stripe. Stipulate that they should vary the width of stripes, for interest.....but plaid in any language means crossed stripes as where the lines intersect, the colors blend to form a NEW COLOR. Stipulate that it should be in gumdrop or gelato colors, lime, melon, apple, peach, apricot, lilac as these combinations give SOFT, new colors. PASTELS is ENGLISH for light colors, but in SPANISH that word means dessert CAKES. Well. not a problem confectionary colors. SAY GUMDROP colors. 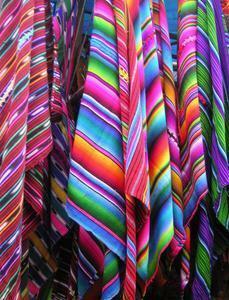 Or colores arco iris pero sutiles. (subtle rainbow colors) TRY THESE GUYS as they came recommended by the MEXICO CITY BASED gal who supplies ROSA MEXICANO restaurants of NEW YORK CITY with their fabric. The late but great Lila Lomeli. TELAS TIPICAS Y ARTESANIAS, . 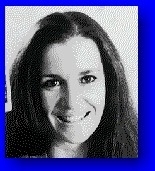 Our POSTER is ANITA SANDS HERNANDEZ, Los Angeles Writer, Researcher, poster, mother of 4 and career Astrologer. Catch up with her websites TRUTHS GOV WILL HIDE & NEVER TELL YOU, also The FUTURE, WHAT'S COMIN' AT YA! FRUGAL LIFE STYLE TIPS, HOW TO SURVIVE the COMING GREAT DEPRESSION, and Secrets of Nature, HOLISTIC, AFFORDABLE HEALING. Also ARTISANRY FOR EXPORT, EARN EUROS....* Anita is at astrology@earthlink.net ). Get a free natal horoscope "my money/future life" reading now + copy horoscope as a Gif file graphic! No smarter, more accurate career reading out there!